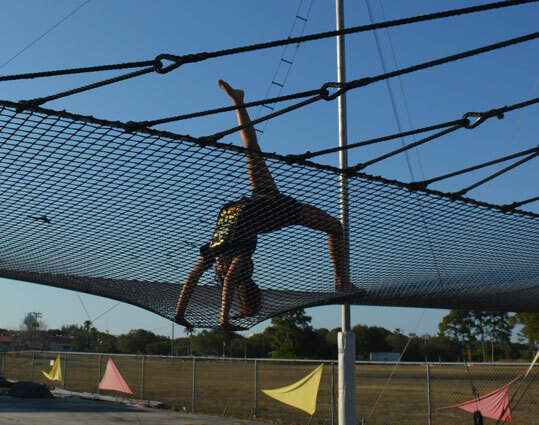 We offer open classes for adult and children year-round at the Trapeze Park at 1401 Ringling Drive South in Venice, FL. 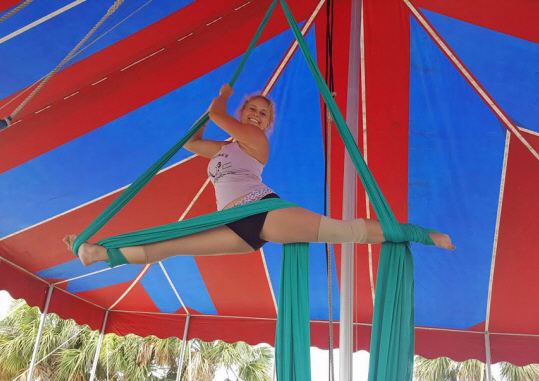 Regular classes are $45 per person and generally run 2 hours. 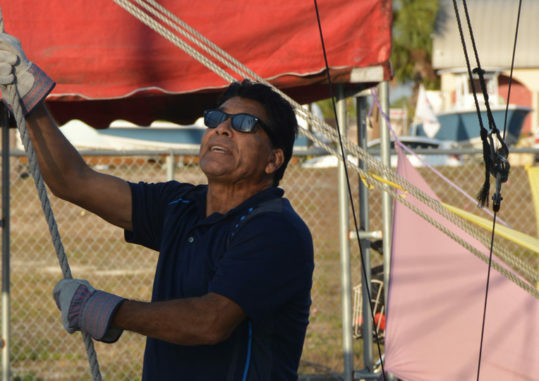 Professional instructors use a skills-building approach to help you develop the basic swing, learn beginning tricks, including the knee hang, and practice more advanced tricks including the catch and return. Classes are held from 5-7 p.m. on Wednesday and Friday from September—June, and daily at 10 a.m. during the summer. Trapeze is a great way to stay in shape. The sport is a full-body aerobic workout, building arms, abs, and legs. By joining the Trapeze Fitness Club, you’ll increase flexibility, improve muscle tone, develop physical stamina, and have a great time doing it! The Fitness Club meets twice weekly, and costs $150.00 per month. It includes both new and advanced flyers. 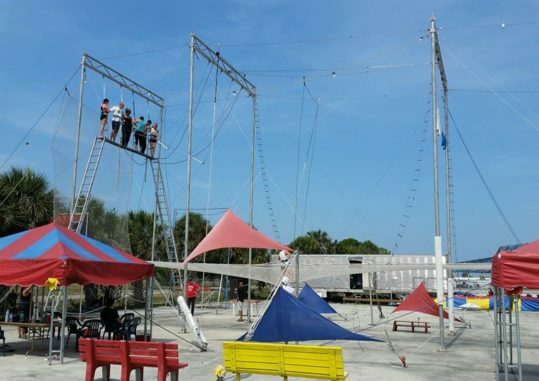 Looking for a great company team-building exercise or memorable group event for a family reunion or bachelor/bachelorette party? 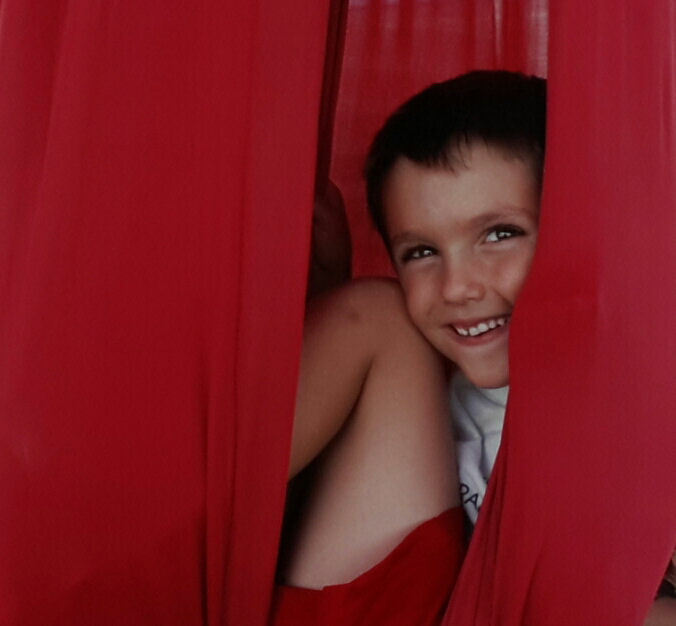 Semi-private classes (minimum 3 people, maximum 10 people) are available for many times, including weekends. These classes typically cost $65 per person, although group rates are available. 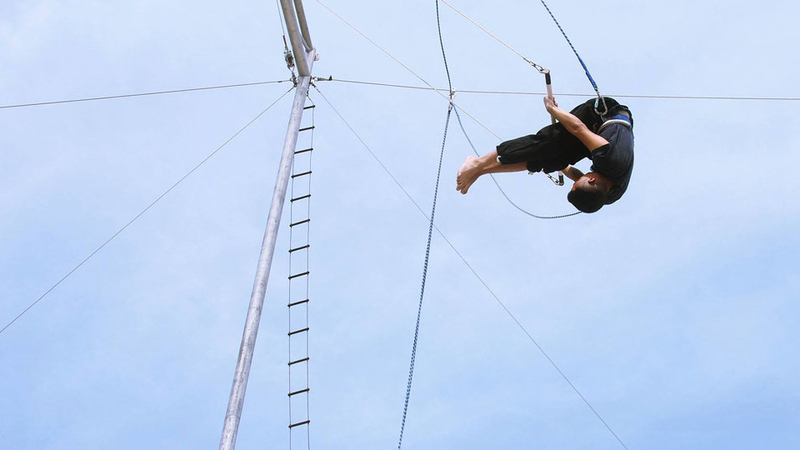 Call Renata Gaona 1-(866)-trapeze for more information about available times and to schedule your class. 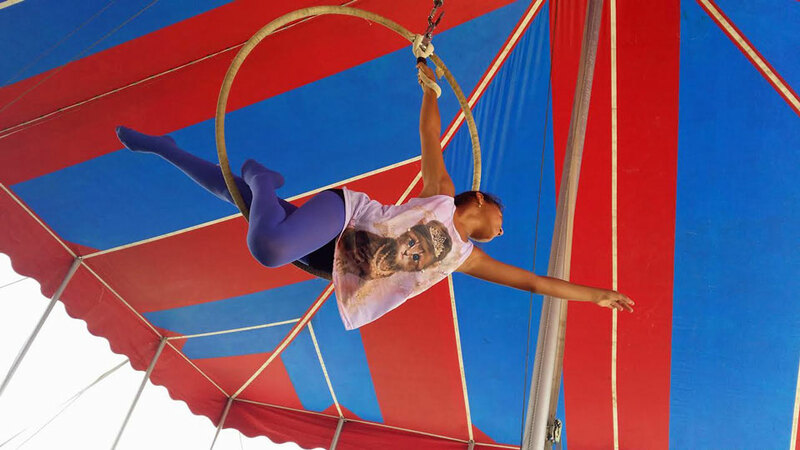 Flying free is a great way to start the weekend! 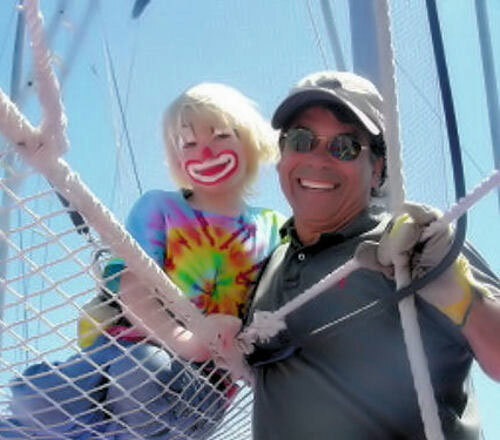 Join the Gaona family on Saturday mornings at the greatest playground not found on earth! 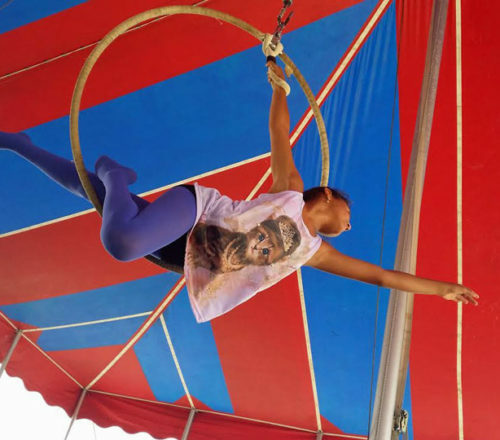 This circus arts workshop is open to both novice and experienced aerialists, and includes one and a half hours of instruction on aerial silks (tissu), followed by one and a half hours of gravity-defying fun on the flying trapeze. The workshop is held on Saturdays from 9 a.m. to noon September through May. 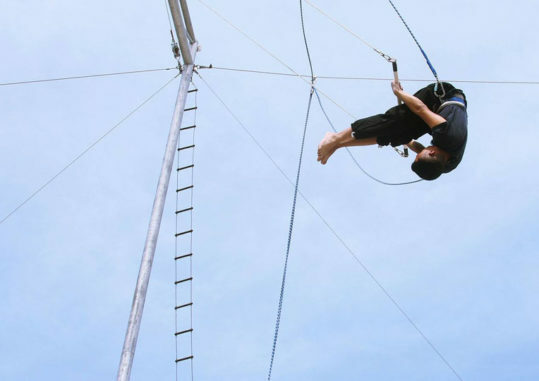 The rate is $55.00 per aerialist. 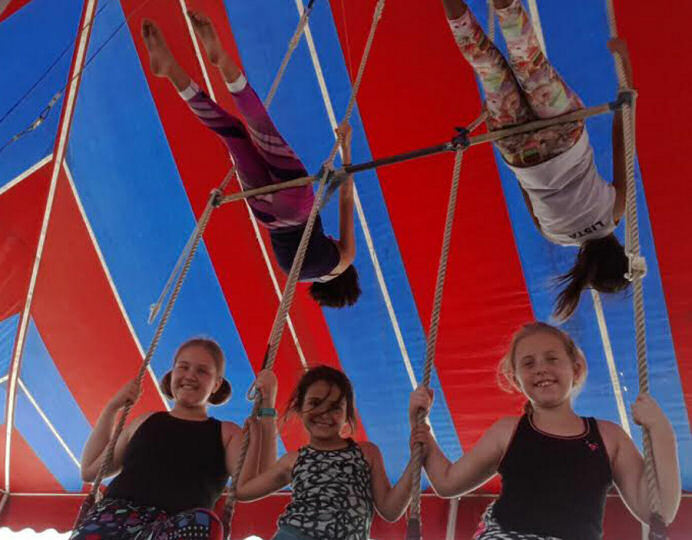 There’s no better way to celebrate life than a circus-themed flying trapeze birthday party! 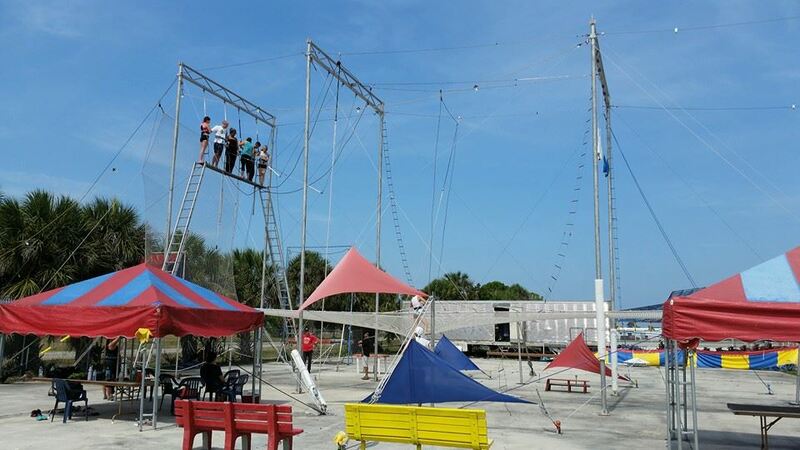 For groups from 8-20 your two hour extravaganza will feature training on the low trapeze, and two flights per person on the “big rig”. Bring the cake of your choice, and we’ll provide the party favors, venue, and festive atmosphere to give your birthday girl or guy an unforgettable special day! The fee is $320.00 for up to 8 flyers, and $40 for each additional flyer (maximum of 20 flyers). Non-flying celebrants are welcome to come watch for free! 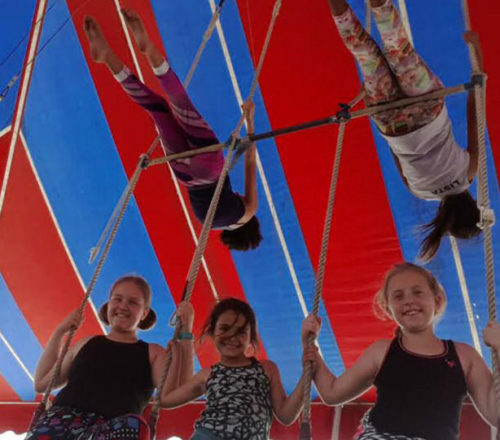 From June 3rd through mid-August, we offer a unique circus arts summer program featuring trapeze lessons, lyra (hoop), aerial silks / tissues, trampoline, and multiple trapeze. 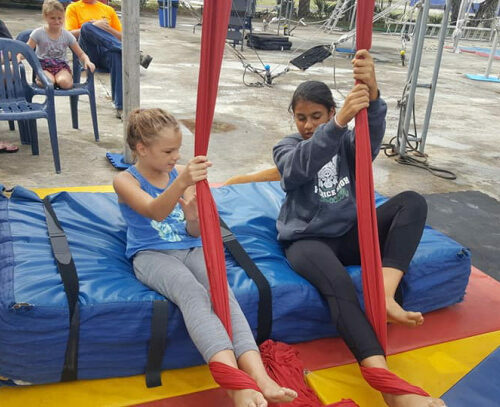 Children ages 6-16 will increase their self-confidence, learn new skills, and have an unforgettable experience in a fun and supportive setting. The summer program runs from 9 a.m. to 3 p.m. each weekday. 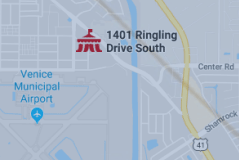 The weekly rate is $250 per child. 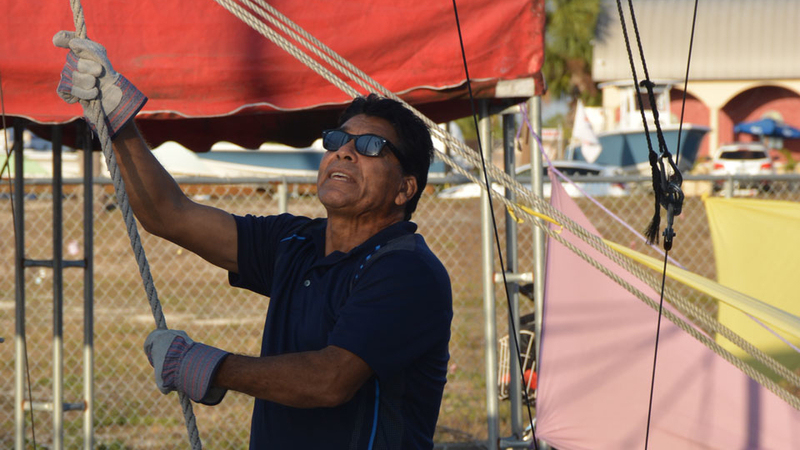 There is no better way to build self-confidence and self-esteem than trying your hands at flying trapeze! 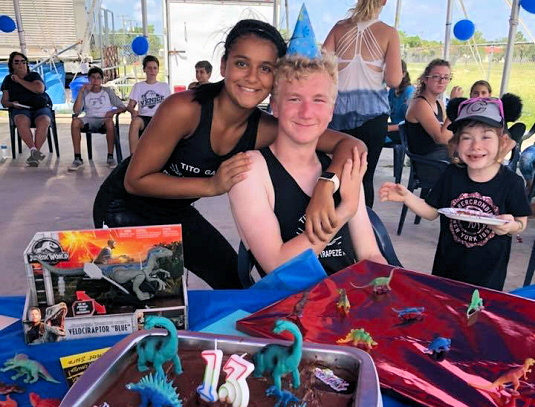 Our caring and supportive staff has provided a safe, empowering, and exhilarating experience for children with cancer, battered women, and at-risk youth. 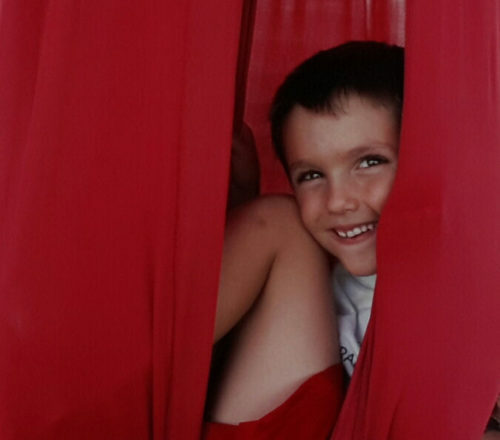 We partner with non-profits to tailor programs for these special populations. 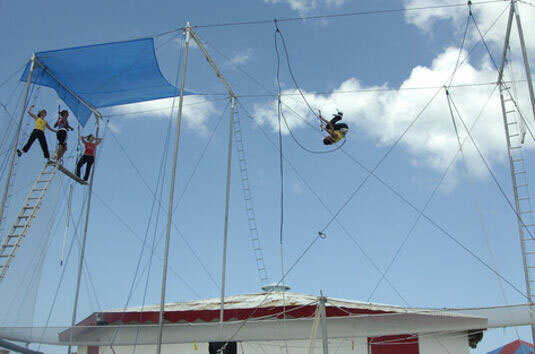 Call Renata Gaona 1-(866)-trapeze for more information.